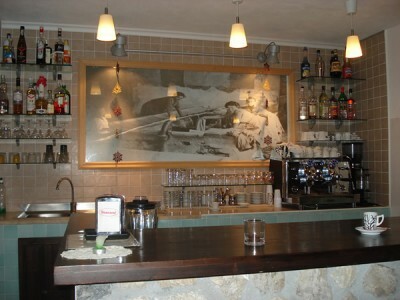 * Guest bar and lounge with fireplace. Il Lavatoio is imaginatively designed incorporating the foundations and walls of the former village washhouse (lavatoio) where, for many generations, the ladies of Castel di Sangro came to do their washing. 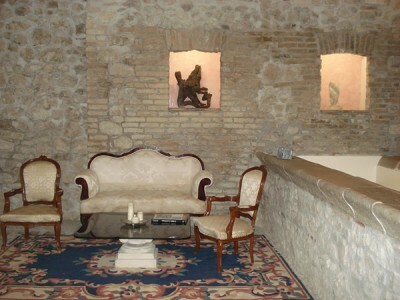 The hotel is peacefully located in the historic centre of Castel di Sangro next to the 15th century Basilica of Santa Maria Assunta, and is just a five minute walk from the bars, shops and restaurants of the town centre. 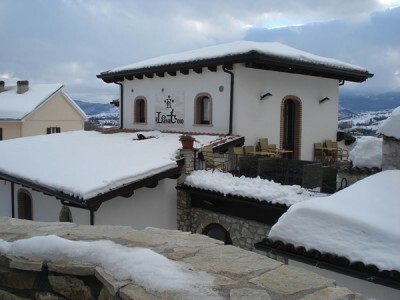 The restoration and building of the hotel was finished in 2009, when Il Lavatoio started life as a hotel. 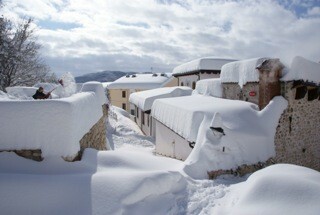 Castel di Sangro is about 15 mins away from the 110 kms of piste at Roccaraso. 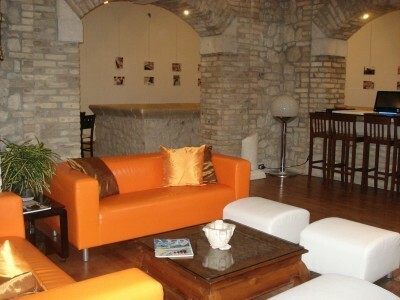 The attractive lobby area, guest bar and lounge with open fire catch the eye on entering the hotel. The chic modern style blends with the original walls and granite troughs of the washhouse which form the centrepiece of an exhibition celebrating the history of the ancient building. A buffet breakfast is served each morning in the lounge area. As winter gives way to spring, the sun terrace is perfect for soaking up the sun. Accommodation comprises of thirteen spacious rooms, sleeping up to four people and is spread over two floors or in the corner ‘towers’ of the building. The tower rooms are accessed by spiral staircase. Wifi internet is available throughout the hotel. Free parking is available either in the small hotel car park or on the quiet street in front. English is spoken by the staff. The centre of Castel di Sangro is just a five minute walk away where there is a good choice of shops, bars and restaurants. Some rooms have balcony. Cots and bottle warmers are available on request – €10 per stay. Children under 3 sharing existing bedding stay free of charge. 3-11 yrs inclusive €15 per day for third and fourth bed in a family room. A substantial buffet breakfast is served each morning to hotel guests, including freshly baked bread and cakes, with hot drinks (coffee, tea, milk and chocolate) served from the bar. Other items include fruit juices, cereals, yoghurt, biscuits, fette biscottate (like Melba toast), honey and jams plus fresh fruit. The kitchen is available for the preparation of babies’ breakfasts. Books and games are available for little children to keep them amused during breakfast, if needed! 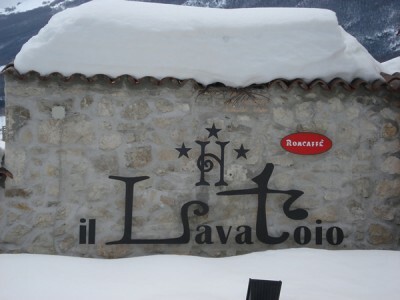 Il Lavatoio has arrangements with a number of local restaurants that offer discounts to hotel guests. Please check with the management during your stay. There is a comfortable bar for hotel guests. 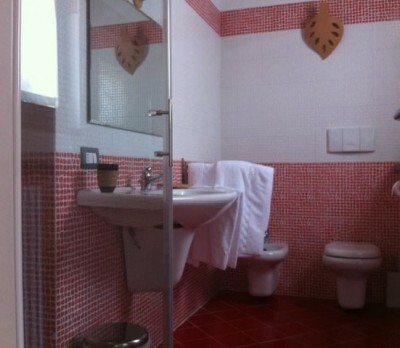 On the ground floor of the hotel there is the original communal wash basin and this area has been sympathetically restored and often hosts exhibitions. 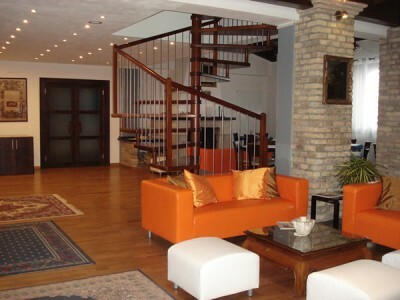 There is a ski deposit and a shuttle minibus to the slopes at Roccaraso (Monte Pratello).